We were desperate. The temperature had to be 90 degrees, if not more … and that’s inside the building! We’re at a pizzeria located in Baltimore, and our air conditioning just suddenly stopped working in the middle of August. You can only imagine how hot it gets in a pizza shop full of customers with the oven going full blast. So I Google searched “best air conditioning repair in the area” and called the first company in the search results, AJB Mechanical Heating and Cooling. By that point, I was just looking for someone who could come out immediately and could get the job done within a reasonable time. 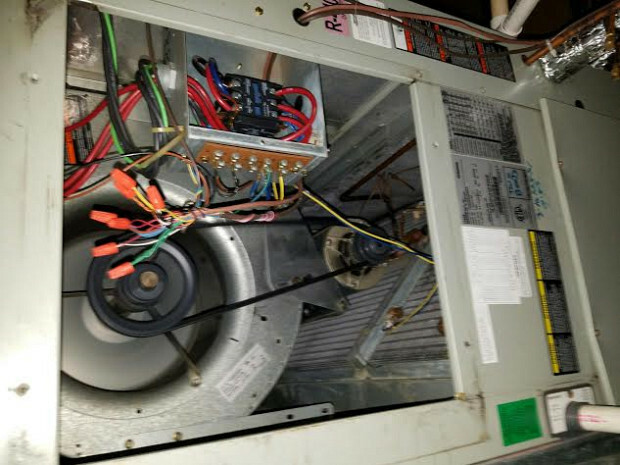 If you’re not so pressured, I’d recommend that you do your research and price checks and be sure to look at reviews from previous customers, before you hire an HVAC contractor. When the technician from AJB showed up at our business, he quickly diagnosed the problem with the unit. 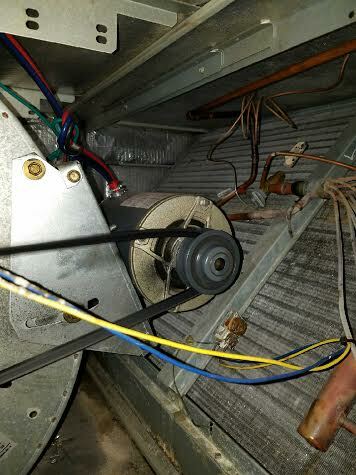 He had to change our filters and replace the belt which connected to the fan that spun the air through the coils. It took him about 45 minutes to an hour to do the whole job. In the middle of all this, we stayed open – we never closed – so we were actually still working in the heat. Because of this, we were extremely glad that he came out, did a fantastic job, and got it done expeditiously. I would absolutely recommend him. He was very reliable, with an excellent work ethic. In addition, he had great customer service and he brought great energy, with a smile. When I walked into the pizza shop today, it was 98 degrees indoors. Now it’s about 71 … and it feels amazing in here! Water Heater And Air Handler Replacement For Our Condo Downsize by Michael S.
Oak Tree Planting Looks Great in Our New Home’s Spacious Yard by Michael L.